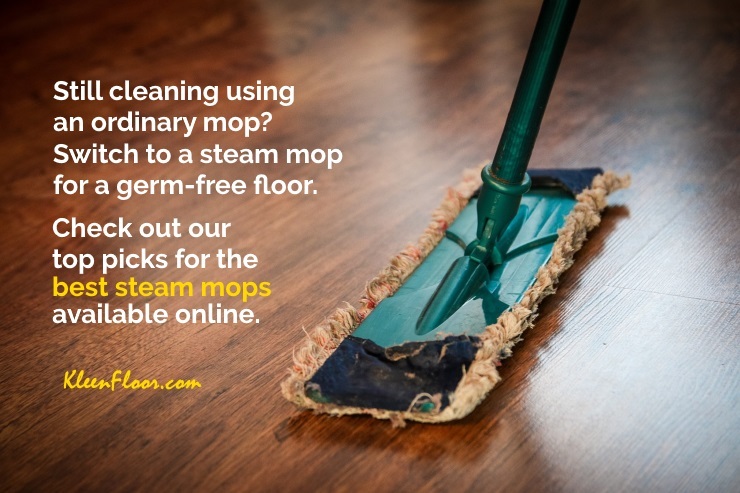 We’ve given you our reviews, thoughts, and consumer reports on a variety of steam mop brands and models. But which one of these cleaning devices is the best? To us, being the “best” is not just about having the most number of features, or being the most attractive. To us, the best steam mop should deliver its promises. Its main purpose is to clean and sanitize the floor, so it should, first and foremost, do that. If there are any added features, these modifications should outperform the competition by cleaning better. Positive consumer feedback is also important. Sure, product demos are important, but durability and consistency are another matter. 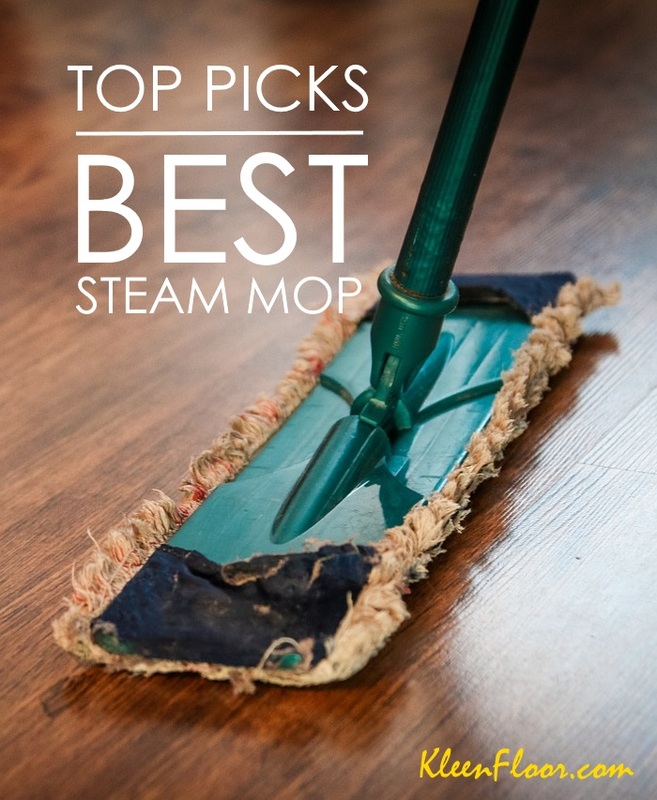 That said, taken into consideration what we’ve mentioned above, here are our top picks for the best steam mops available online. As an established company, Bissell has several models in its steam mop catalog, with each model offering at least one feature that’s different from the rest. For instance, we’ve seen the company introduced a triangular mop head in its Titanium 94E9T model. Also, comparing the 1940 with the 1806, we discovered that the main difference lies in their water tanks, with 1940 having a removable reservoir. 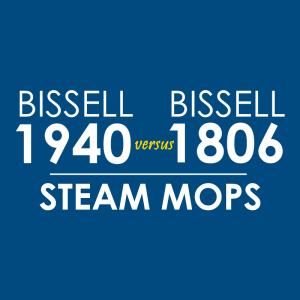 Bissell has at least 6 models of steam mops to offer, but our top pick is the Bissell 1940 PowerFresh. Why? Because first, it packs just the right features to ensure a clean and sanitized floor. Price-wise, the 1940‘s price tag sits in the middle – not too expensive, but not too cheap. Exterior-wise, there are a few models that are more attractive in our opinion, but the design allows you to store it easily and operate effectively. Do consumers have positive things to say about this product? Yes. Overall, customer satisfaction when it comes to steam quantity and cleaning performance, the PowerFresh is well-received. Read our full consumer report and review here. Coming in a close second is SharkNinja’s S3501, a 4,9-pound steam mop with an interesting body shape. It does look like a shark if you use a bit of your imagination, but more important than this, consumers have generally positive opinion about it. 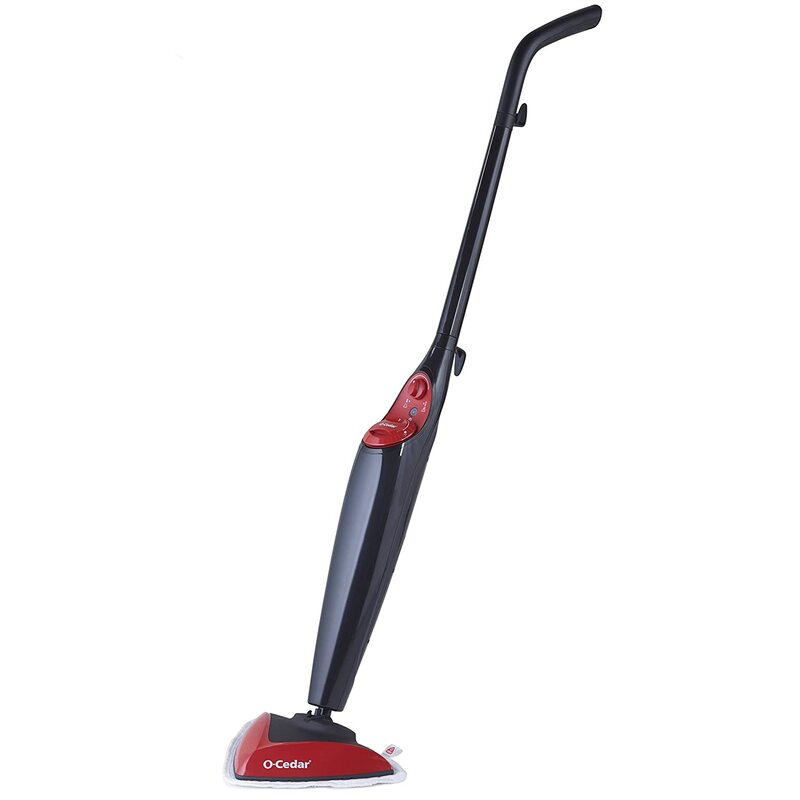 Cheaper than the Bissell 1940, the S3501 from Shark is a simple, no-frills, straightforward cleaner. Meaning, its features do not go beyond the basics other than having dual-sided micro-fiber pads. If you’re looking for an affordable, yet effective steam mop, the Shark S3501 is for you. It’s ideal for dorms, small spaces, and for quick clean-ups. Read our full review of the S3501 here. When it comes to design, one of the modifications we like is the introduction of a triangular steam mop head, as in the case of SKG KB-2012 and the Hoover WH20445PC. Theoretically, the triangular design should make your cleaning process more effective as this shape is supposed to reach into corners and hard-to-clean edges. But which one of the brands and models reign supreme in our book? It’s O-Cedar’s Microfiber Steam Mop. It’s easy to use, quick to generate steam, and most importantly, it gently cleans hard-to-reach corners. Read our review here.